Does The www Make A Difference To Google’s Crawler? Your stats show the Googlebot is visiting your site. That is a good first step to getting listed and ranked. A client asked us the other day if it makes a difference to Google if you have the www in the web address or can leave it out. Strip out certain parameters such as sessionID. As a result, links may be consolidated, and the number of links displayed may be reduced. The intelligence built in to search engine crawlers is fantastic and impressive to say the least. Each search engine that is crawling and indexing your site will likely follow the Google example to some extent. online, in videos and on your apparel. If you guys want the scoop come and get it. Call of Duty 4 otherwise known as CoD4 has taken on a more modern roll when compared to it’s predisesors. 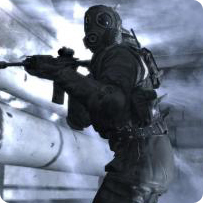 biased in modern time Call of Duty 4 story is biased on 2 different teams, the U.S. Marine Core(USMC) and the British special air service (S.A.S.). But I don’t want to spoil anything for you guys so lets get down to the real review. 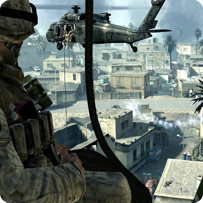 Overview – With the current CoD standards that are out there im not sure how anyone could come up with a better or more well played game, but Infinity Ward’s Cod team has pulled it off again. Blazing new graphics, realistic high definition audio, and deep storyline will make this game a best seller, and one of my personal favorites for years to come. it is my recommendation that anyone who has skipped out on this game check out the demo that can be found here or go out and get yourself a copy!! The Orange Box – Five Games in one box! The Orange Box five games one box. the orange box is the latest release from VALVe software focusing mainly on the Half-Life story. lets first cover what’s in the box how they relate then finally on to the reviews. So theres your lineup right there and as you can see three of the five games there are actually half-life games themselves moving the story along. The first three games are in sequential order as you play through them you learn that our scientist friend Gordon Freedman takes on the hero roll as the world falls apart around him. Moving throughout the series you can meet some devastating enemies, walk around and explore lush environments, and interact with the multitude of deep characters that are introduced throughout. Portal our #4 game on the list is somewhat different from all the rest. Portal it’s self is a standalone in terms of game play but makes several hints into the half-life world suggesting that throughout possible episode 3 the two games stories will become intertwined. Portal is a game about just that PORTALS. early in the game you pick up your only weapon throughout the game a two-way portal generating gun. While most of the first levels of portal are obviously and specifically designed to get the player accustom to how the rest of the game will be played there is a constant testing of creativity and critical thinking skills to finish the game up which essentially is a puzzle game. As most of you might know by this point last Friday October 12th 2007 the Unreal Tournament 3 DEMO came out released from epic games the new shooter will be the 4th installment of the unreal tournament series. Ranging from the 90’s when Unreal Tournament was released to Unreal Tournament 2003 and later updated to 2004 Epic games have been setting the standard for what a first person shooter should be. The Unreal Tournament series is a fast paced action first person shooter set in the future. Although the game at this time is not on the shelves the DEMO has come out and I will be reviewing it. Gameplay – fast as the last with some obvious tweaks if you have played it at all. Most of the guns seemingly do more damage then they have in the past leaving you to be in a much quicker fire fight, a direct missile to the face and your good as gone. the gravity has been adjusted as well, no more crazy insane jumps, the double jump is still in the game but frankly its not going to save you. With the gameplay changes you should be able to see a noticeable faster gameplay style emerging. In the CTF arena all players have the use of what’s called a hover board giving them all access to a faster mode of transport … nice especially if you’ve just stolen the flag. This is counterbalanced by the fact that it’s easier to die as previously stated. Overview – All in all I think this is going to be another great game and one of the finest that we will see this year (and that’s saying a lot with all the good titles coming out in November) but take it from me if your system is pretty old you shouldn’t consider this game in your ball park, download the demo test drive it then see what your going to be capable of, cause it is that graphically intense!